Markair is a distributor and stockist for the premier names in motors. Servicing the HVAC replacement market, Markair supplies genuine and approved Fasco replacement motors for many OEM units, incorporating Brook Crompton Betts, Crompton Parkinson, Betts, Crompton Greaves and Kulthorn motors. We use our many partnerships in the industrial motor market, including CMG Group, Fasco, Teco, Lafert Electric Motors, TEMA Stainless and AEG to supply motors from 0.09KW up to 90KW and ensure that our customers get the best available price in the market. 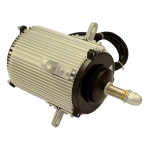 We are a national distributor and can supply motors to suit all required applications, including Ex’e’ and Ex’d’ rated motors, ATEX rated motors, Cooling Tower replacement motors, high efficiency motors, mining spec motors and stainless steel motors, all with a number of different mounting configurations. 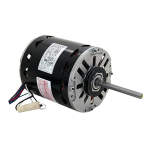 We also incorporate motors directly into our fan products to provide complete solutions. Our genuine Fasco replacement motors are suitable for many commercial and residential air movement applications and are primarily required in condenser and evaporative heating and cooling systems. Fasco motors are the highest quality motors available in Australia and are approved by all major OEMs. 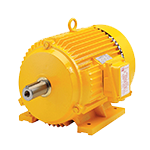 Single phase and three phase industrial frame motors from 0.09KW to 90KW motors, suitable for many belt drive blower applications, as well as general industrial applications including gearboxes, conveyor systems, mining and drives. Standard motors are alloy frames, with options including cast iron bodies, stainless steel (particularly in food processing and other clean environments) and incorporating a number of mounting options as required. A wide range of ebm-papst Q and iQ Series refrigeration motors, as well as Fasco 50D Series motors are stocked at Markair. Upgrading to high efficiency EC motors can be arranged with ebm-papst iQ Series motors through Markair, with costs significantly minimised through short return on investment periods. Markair stocks a large range of ancillaries, direct drive hanger brackets and belly bands. 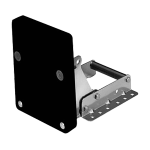 Custom made brackets can be built in low volumes as required to suit your specific application.